Life is meant to enjoy and eating is one of the life’s greatest pleasures. 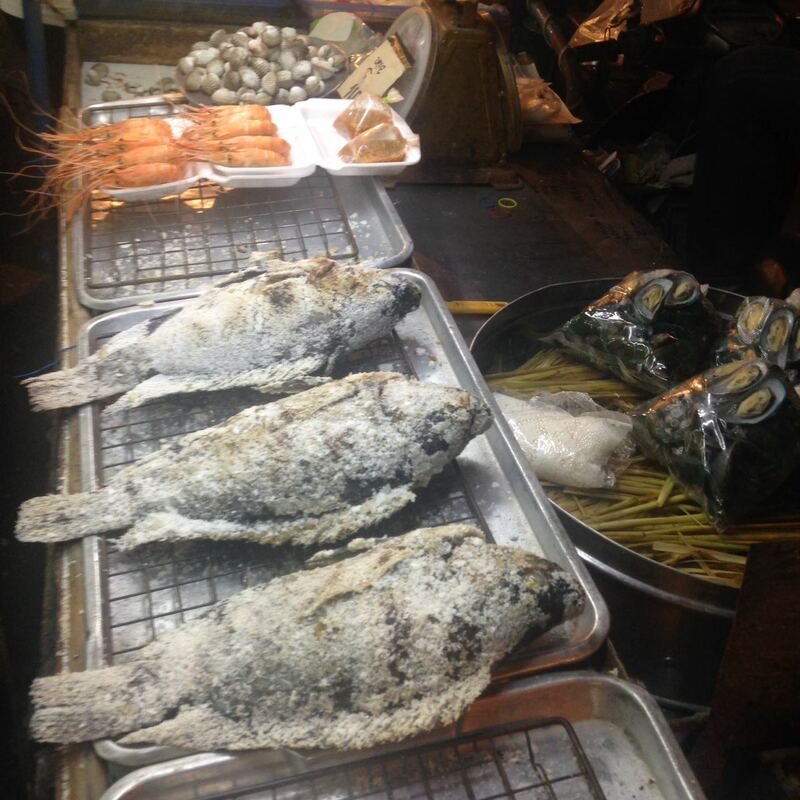 People in Pattaya are all about appetite and so you’ll find food everywhere. 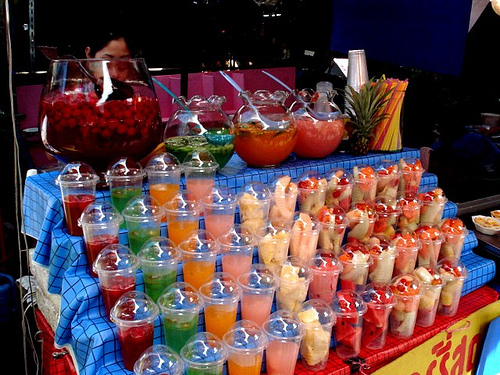 Now if you are a foodie like me and you love to experiment the wide variety of flavours and tastes, the street is your place. 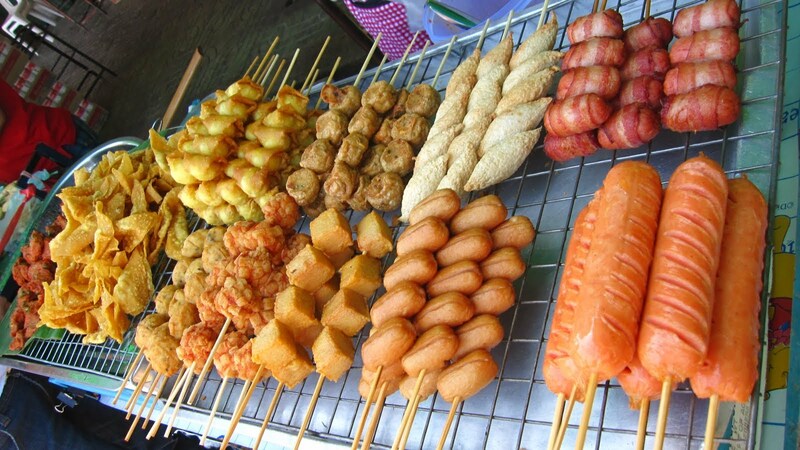 Without further a due let me bring to you some of the most distinct and exciting Thai street food. Your classic chicken sausages to pork and fruit, if you love fried chik or even pork; this is your stop. Thailand is known for wooden sticks and all of the mouthwatering goodness; meaty flavours cooked in tempting sauces dolled up on an oversized toothpick. Costing 10 Baht a stick these will serve you with a wide variety of meat and fat. Being a meat lover, the person you see in the picture was me every night and trust me they taste YUMMY…!!! Now, who would say no to a mouth-watering candy? No one right. Thailand is known for Annette’s and the person behind is a well-known story. Anne learnt the art of making gelato for a year and then fused in her own inventions to give Thailand it’s very own gelato. One of a kind, Anne started off with a single Tuk- Tuk and now runs three Tuk- Tuks that are known as I- Tuk- Tuks. You can spot these on the beach road. P.S. 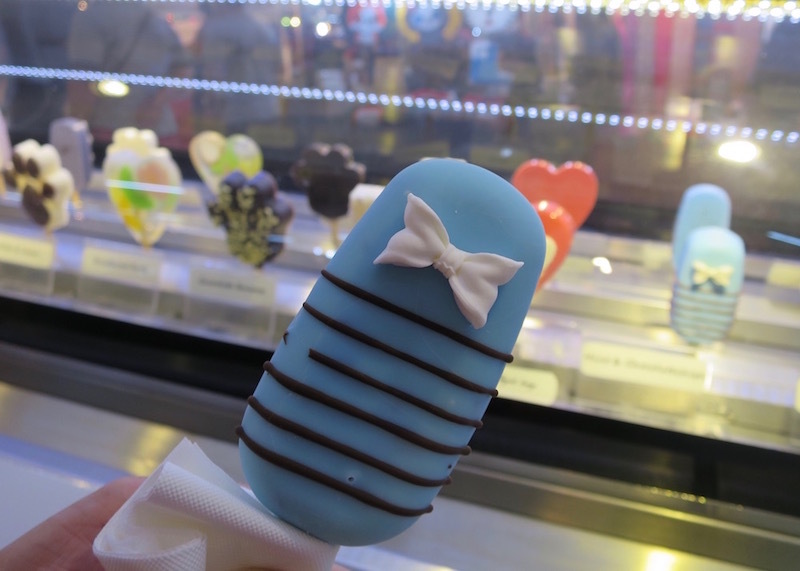 You will find flavours like Tiramisu, Durian (which is a yummy local fruit,) Peppermint and chocolate chip. This one my friends, you’ll spot it everywhere in Thailand. This fish is magic and very subtle in its own kind. Succulent meat, safe and purely delish! YES!! How can we miss this one? Coconut is life in a tropical paradise. You can find vendors all over the town and these won’t cost you a lot too. Why buy a can of packed juice when you can gorge on some lovely fresh fruity flavours? 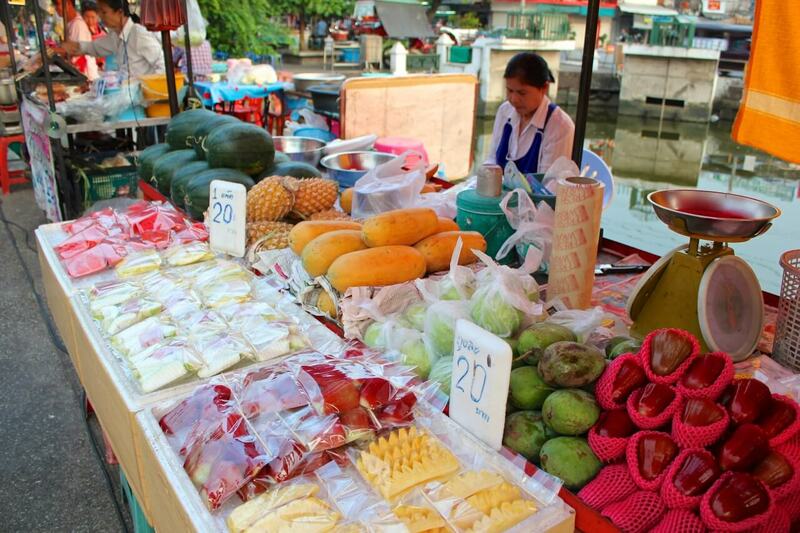 Thai has the best fruits; fresh and juicy. I am not a big fan of Pineapple but Pineapple in Pattaya was my absolute favourite. What do you think of blended vanilla yoghurt, fruits and a little dash of cinnamon or even a berry rich smoothie topped with more berries? If you are a smoothie lover and spending 120 Baht won’t burn your pocket, give Thai smoothies a try. I bet you will love them. If not, go for your choice of beer. 7.) Bugs! Creepy but good. Your trip is not complete if you don’t give bugs a try. I know most of you won’t but even watching others eat will give you a kick. 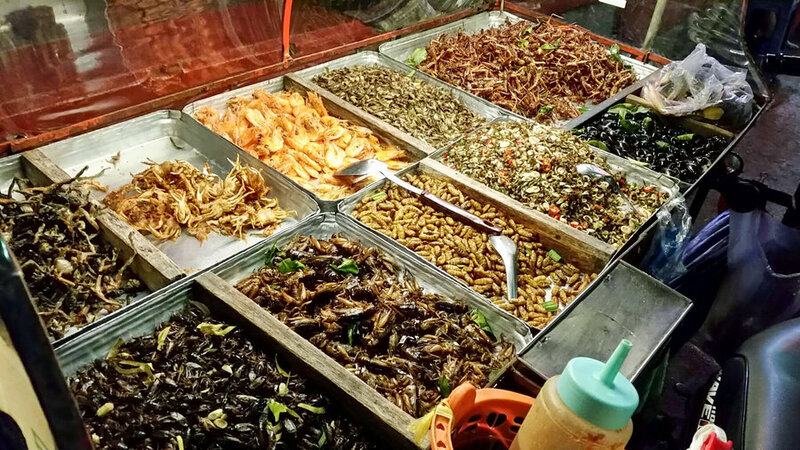 Thailand serves the best bugs; fried, salted, pickled and crispy. Ask the vendor to make you a bag full of roaches and worms and gorge them down. If not you ask a friend to do that and watch him struggle. Or maybe even laugh. Just don’t miss out on all the good experiences! NOTE: If you are willing to try authentic Thai food, forget the comfort of expensive restaurants and walk to the street vendors instead. 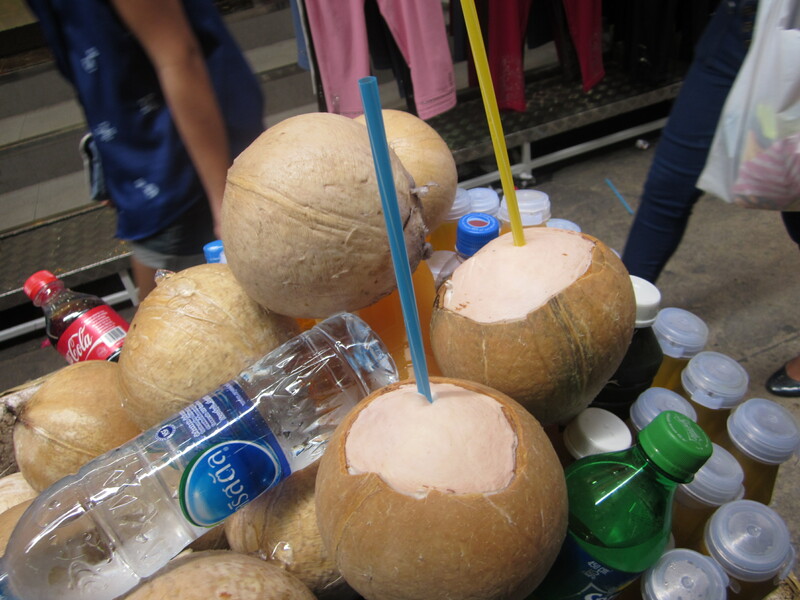 You will find the real flavours of Pattaya on the street. So, the next time you visit, try out roaches and eat as much as Thai food as you can. I am sure you will love the flavours and the price!